IT Support Calgary Business Trust! IT Services Calgary Companies Need. Calgary’s Top Businesses Engage With CTECH Consulting Group As Their Trusted Information Technology Services Company. Does Technology Continue To Play A Vital Role In Your Company? CTECH Consulting Group can help ensure your IT systems are properly looked after. CTECH Consulting Group is an award-winning technology company in Calgary. Why trust your IT systems to just any company? CTECH Consulting Group is the perfect choice for your next IT services company. Note: CTECH Consulting Group will never sell, rent, share, lease, loan or give away your confidential information. Your information is safe with us. CTECH Consulting Group is one of Calgary's most respected brands in Calgary. We offer IT Support Calgary business owners depend on. CTECH Consulting Group leaves no stone unturned when it comes to designing and supporting the perfect technology solution. CTECH Consulting Group is recognized by Microsoft and other top technology partners as their "go-to" Calgary companies. Most Calgary IT companies can fix a computer problem, but many struggle to connect the dots between your business and the right IT. You have a Calgary IT Support company focused on the top cloud solutions for Calgary businesses provided insurance against disaster and other business interruptions. You live in a world full of cybercriminals with one goal. Disrupt your business. CTECH Consulting Group makes sure your computer security is bulletproof. CTECH Consulting Group Is Ready To Guide Throughout Your Digital Transformation. CTECH Consulting Group Is Ready To Guide You Throughout Your Digital Transformation. When you partner with CTECH Consulting Group as your trusted IT services company in Calgary and surrounding areas, you have a partner who is the "cream of the crop." CTECH Consulting Group is an award-winning IT services company. We have been recognized by Microsoft, Ingram Micro, IT World Canada, and other top Canadian technology communities for the high-quality work and many satisfied Calgary-area businesses we serve. Why trust just any IT company in Calgary, when you can have Canada's award-winning IT service team as your Calgary IT & Computer Services Company? Calgary Businesses Demand A Super-Powered IT Solution. CTECH Consulting Group provides industry-leading latest technologies allowing your company to focus on business growth, profitability and operational excellence. Leave the IT challenges to CTECH Consulting Group, your IT department. CTECH is a select Microsoft partner in Calgary and Western Canada. As such, we know how to leverage their products in conjunction with the solutions of third-party vendors to deliver an IT environment that is protected, maintained, automated, and productive. Better efficiency results in a better lifestyle for you and your staff! Information systems and recent changes to information systems have a positive impact on businesses who stay ahead of the information curve. Some call it business transformation, others call it digital transformation, we just call it the way to do business in a global, mobile marketplace. We help you avoid disaster - so you don't lose time responding to one. Whether you have on-site servers, are in the cloud, or a hybrid situation, we will implement robust protocols that will keep your data available and your employees working no matter what nature, criminals, or human error throws at you. CTECH does much more for your security than simply store your data in a secure data center. We make sure that your team can easily access the files they need to do their job and enable employees to safely collaborate using that data - Anyone, Anywhere, Any Device. CTECH takes pride in helping all Calgary businesses. CTECH has a proven track record providing high-quality business IT services throughout Calgary. Our stories of success speak for themselves. Have a question on how CTECH’s Calgary-based IT support services can help your company? We welcome you to check out stories of success and please, call any of our clients and ask them, how CTECH helps them through our IT support and technology services. The James Hotel has been welcoming guests to their beautiful contemporary, boutique hotel. Located in downtown Saskatoon. The hotel has a tradition of hospitality that dates to the early 1900’s and James Peter Leier. Ghostpine Environmental Services is a consulting firm based in Calgary Alberta. They work with organizations across Canada, delivering environmental solutions that work for businesses, the community and the world we live in. CDL Carpet & Floor Centre has been struggling for close to two years with IT that just wouldn’t cut it. A Growing Company in Calgary, CDL has about 30 staff members in two locations, and they rely on their computers to keep operations flowing smoothly every day, especially for their sales staff who needed to process orders and quotes, schedule installs, and all sort of other tasks. Read Why CTECH Is The Top IT Support Company In Calgary. Have An IT Question For The CTECH Consulting Group Team? Ask Here. Have A Question For One Of Our Calgary IT Service Professionals? CTECH Consulting Group welcomes you to ask any question you may have about our services or technology in general. Our highly skilled, well trained and certified IT professionals are standing by to answer your questions. CTECH Consulting Group Wins The Ingram Micro 2017 Fastest Cloud Growth Partner. CTECH Consulting Group Inc. Receives VARCoach “Top 50 Best Managed IT Companies” Award! CTECH Consulting Group Wins Consumer Choice Award for 2016! 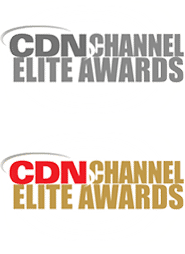 CTECH Consulting Group Nominated for the Ingram Micro 2017 Cloud Canadian Partner of the Year! Interested In Learning More On How We Have Become A Top Calgary IT Support Company? Welcome to CTECH Consulting Group - your source for the widest-ranging business IT support in The Stampede City. We’ve planned well to be able to handle the stampede of Calgary businesses in need of IT network optimization. Because of our high level of dedication, qualification, and commitment to our valued clientele, we’re trusted to offer dependable, long-range support to Calgary companies of all types. Our IT services include complete security packages; competitive rates on cloud computing and hosted cloud services; data backup and disaster avoidance; mobility solutions; and much more! We’re an award-winning company offering IT support on which Calgary business owners can grow their ventures. We believe in being as all-inclusive and full-spectrum with our IT services as possible. This demands a certain amount of adaptability and openness to emerging technology trends which can change how the average Calgary business interacts in the digital marketplace. With our IT consulting services, Calgary enterprisers can rest assured that their compliance issues are covered, their security problems are a thing of the past, and their work productivity and communications are enhanced fully. This is why so many companies who discover the CTECH difference end up becoming loyal subscribers to our client-engaged style of Calgary IT services. The Right Kind of IT Support in Calgary, the Right Team of IT Professionals. Here in “The Heart of the New West” you have many choices regarding your Calgary IT support, but CTECH has worked hard for decades to fine-tune our services to best fit today’s tech-savvy, computer-networked business ventures. The four main areas of our website specifically address the most important areas of business IT today: providing holistic IT support and consulting; implementing current technologies to improve your business; ensuring business continuity in case of a disaster; and protecting your business from external threats. This basically spells out our core focus for our clients in Calgary and Southern Alberta. We are meeting 21st Century technology issues head-on with the most rigorous and disciplined IT practices. CTECH CEO Carl Fransen and our crew of Calgary IT support professionals are truly dedicated to helping you achieve your Calgary business goals. "IT services professionals" is an umbrella-label, but we’re so many other things as well: we’re cybersecurity awareness training experts, compliance auditors, wireless networking engineers, server and website monitors; and the most proactive IT network analysts and technicians in Calgary. Do you have outdated IT systems that need an update? We’re specialists in finding the right new technology to fit today’s business professionals. Are you concerned that your network security setup is a bit outdated? No worries, we can quickly evaluate your security defenses with auditing procedures that tell us where you’re vulnerable. And, you’ll never spend a penny more than what’s required, because we’re not a “churn and burn” IT services company — rather, our approach is to put ourselves in the place of our customers, and never to prescribe any IT solution that isn’t ideal. With our IT services supporting your Calgary business, you will always get exactly what you need. Is your current IT consulting company leaving something to be desired in their technical or personal approach? Let CTECH show you a world of difference as we shake your hand, look you in the eye, and tell you exactly where your IT network needs improvement. We’re always available to get a Help Desk ticket started in lieu of having your issue successfully addressed and remedied within 1 business day (generally). Don’t hesitate to make the call or email us to get started with the best IT support in Calgary at the most cost-efficient rate – designed specifically for today’s budget-conscious, technology-dependent business ventures. We understand you require the peace of mind that comes with making the right investment with the right IT services company. Well, we haven’t let any of our customers down yet! Our satisfied clients will tell you that our expertise and dedication are unmatched by any other Calgary IT services company. We implement long-term, threat-preventative solutions as opposed to constantly putting out fires. Because of this, our customers know that they’re getting the real deal and don’t have to worry about IT network adversities. Our alert monitoring means that we’ll probably know there’s an issue before you do – which allows you to concentrate on your fundamental business objectives. With CTECH Consulting Group on task, any IT concerns will be addressed, and any issues will all be handled in a timely, ultra-remedial fashion. You will you sleep better at night knowing you can navigate your next work day in a stress-free manner!